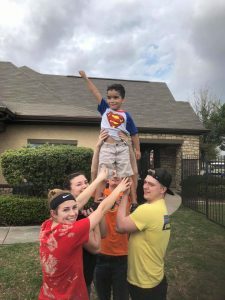 After Hurricane Harvey wreaked havoc on Houston in August 2017, Chaplain Andrew Jamieson decided to switch the spring international mission trip and serve domestically. 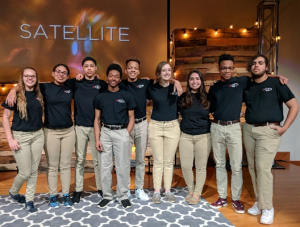 Our team of 22 students volunteered at shelters, food banks, dementia treatment centers, meal delivery services, soup kitchens, and many other places. Whether it was doing laundry for a homeless lady, delivering lunch to an at-risk preschooler, or teaching a teenager to do a two-high at the government-funded housing project, comfort zones were busted! What Dr. Suess book is a favorite among young, old, and graduates? 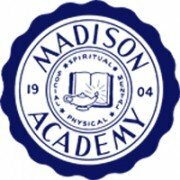 What candy personifies for the Madison Academy 2018 senior class? Seniors were also the winners of the spirit trophy this year. Smarties! This year’s senior class was awarded $895,000 in scholarships. Amongst 14 students that is a pretty good chunk of change. Not only are they going to have an easier time paying for college than the average student, but with the dual enrollment classes offered at Madison, many will become a sophomore during the second semester of their first year of college. 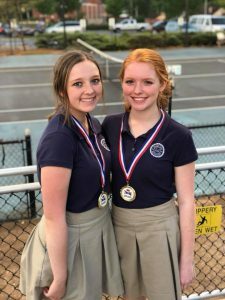 Parker and Marlana posing after their tennis doubles championship win! Who’s excited about a later curfew? Fifteen students are! At Madison Academy these 15 completed 55 dual enrollment credits this school year collectively by taking Composition 101, Personal Finance and Pre-Calculus. By taking these classes, the average college-prep student is able to reach sophomore status by second semester of their freshman year. Not only does this save them thousands of dollars in college tuition (you’re welcome parents), but also grants them a later curfew if they are residing in one of our Adventist Universities. Public Relations 101 Class thinks that it’s a great day to hold a 5K. During second semester a new class was offered, Public Relations 101. Six brave students joined up with Taleah Valles-Peters, the director of development, to learn different public relation principals and event planning skills. 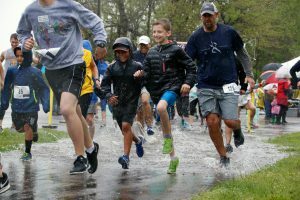 On race day, April 22, it poured the entire time making it the most memorable Neely’s Bend 5K yet. 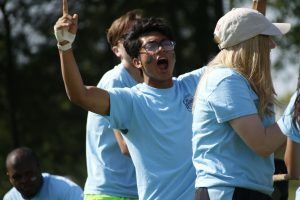 Not only did the students raise over $12K for the work-study program, but they also raised $1,500 for the 100 Club of Nashville which supports emergency personnel who lose their life or are traumatically injured in the line of duty. What was Hank Snow singing about? Why do you rush to get tickets when the Heritage Singers come to town? There are limited seats available! Currently, 89% of our current student body are re-enrolled for the 2018-2019 school year and already 28 in our freshmen class. There are a few seats still available in each class. Interested in giving your student a quality Adventist education? Call 615.865.4055.